Extreme care and meticulous practices used in renovation of historic landmark originally constructed in 1916. 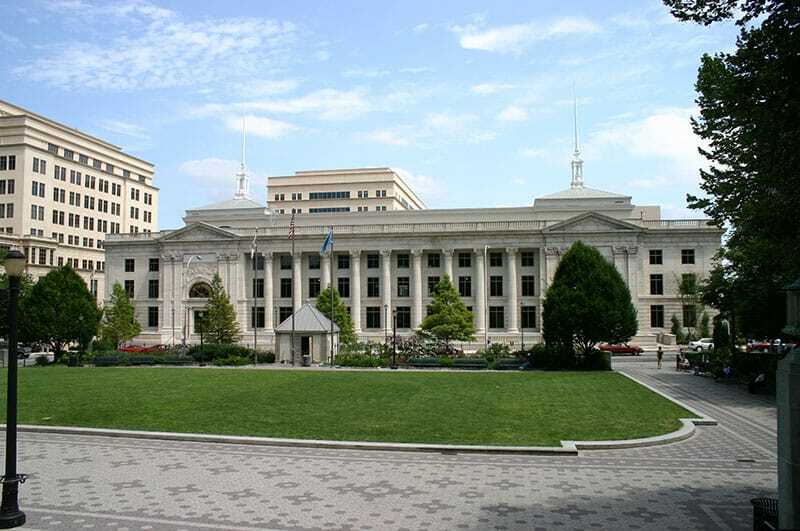 This project consisted of renovations to the existing core and shell, as well as a 48,000 SF addition of a new wing to the Wilmington courthouse. Built in 1916, the original Wilmington courthouse was modernized and connected to the adjacent MBNA buildings via a pedestrian bridge. 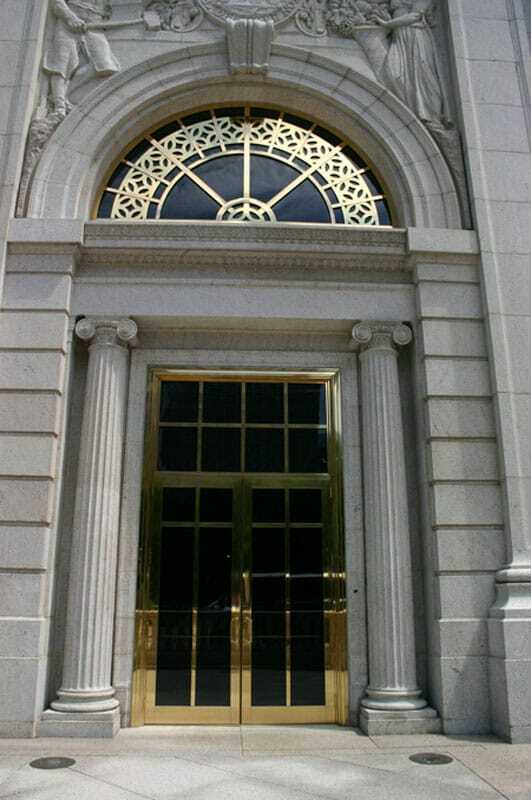 The integrity of the historic design elements of the building such as the shaped staircases, three-story grand foyer entrances, granite façade, dome ceilings and marble flooring was preserved. Renovations included a new roof, replacement windows, and new mechanical and electrical equipment. In order to balance the layout of the building and increase its size, an existing addition on the south wing that housed a police station was demolished to make way for a two-story vertical expansion that mirrored the north wing. The project took up one city block in downtown Wilmington which created the need for specific and tight site logistics planning and scheduling. 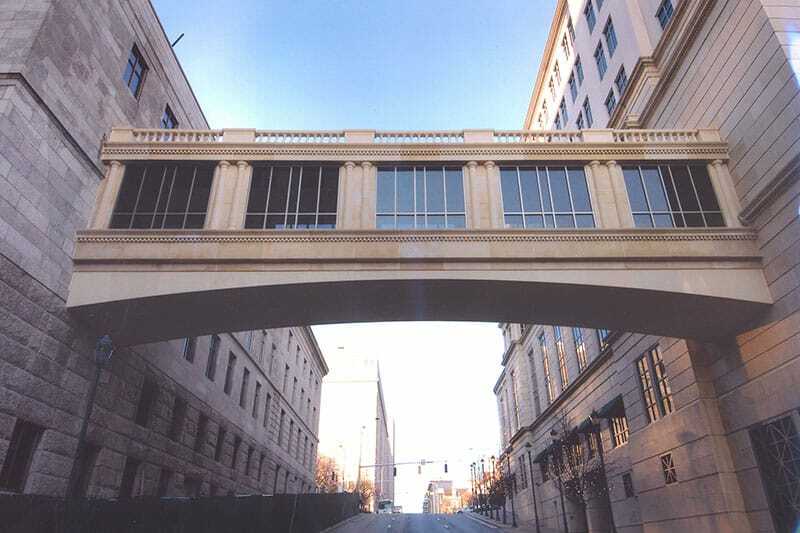 There were several project challenges, including no on site staging, the shutdown of access to the pedestrian bridge at 11th Street, and road closures that could only be done on the weekends due to heavy downtown traffic on weekdays. 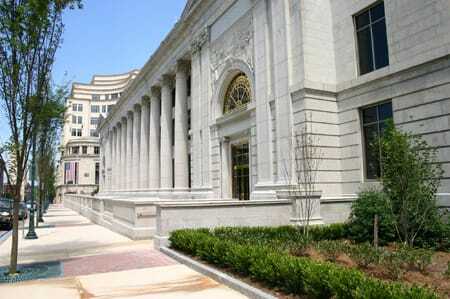 A unique design feature of the building included the redesign of the existing front entrances to create on colonnade along King Street. The rejuvenation and expansion of the building ensured a refreshed space for MBNA to prepare for future growth.